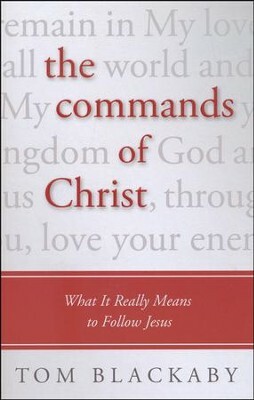 The commands of Christ are both instructive and informative. While they give us instructions for life, they also give us information about His Father. For example, when we read Christ’s command to “be perfect, therefore, as your heavenly Father is perfect” (Matt. 5:48), we first see the instruction for us to live a life worthy of our calling as Christians, but we also see something about the God we serve and worship. So the command is also a revelation. One of Christ’s purposes in coming to the earth was to reveal His Father to mankind. His commands are one of the ways we can learn about who God is and what He is like because they reveal to us what is on His heart and reflect His nature and His character. Each command gives us insight into the nature of who God is and gives us direction in how to come into His presence as children come before their loving parents. The Commands of Christ is an unpacking of that key promise, a simply powerful presentation of the loving imperatives we sometimes know more by rote than by heart: Love your enemies; Don’t store up treasures on earth; Seek first the kingdom of God; Let your light shine before men, etc. Tom Blackaby’s focused writing serves as a plumb line of sorts, guiding us toward a vibrant commitment to the Lordship of Christ that better shapes our lives, how we worship, and how we relate to others. You will begin to know more clearly and experience more fully the freedom that comes through obedient acts of love and service to God.